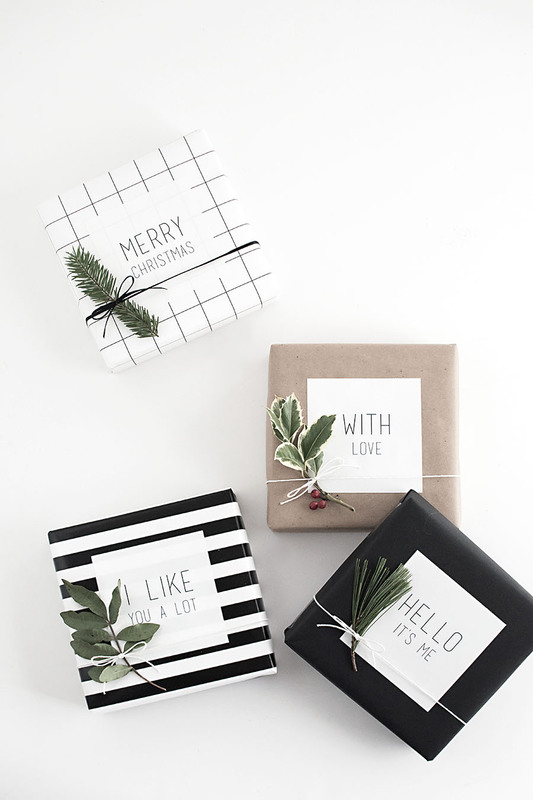 One last gift wrap idea before Christmas is here (with free downloadable files whaaat), because I know the majority of us will be doing some last minute gift wrapping. Every year I try to do better at getting ahead and not having to scramble down to the wire to prep gift giving and wrapping, but somehow a few always slip through and keep me busy right until the very end. I’m finally thinking maybe that’s just my style and how I do things. You, too? 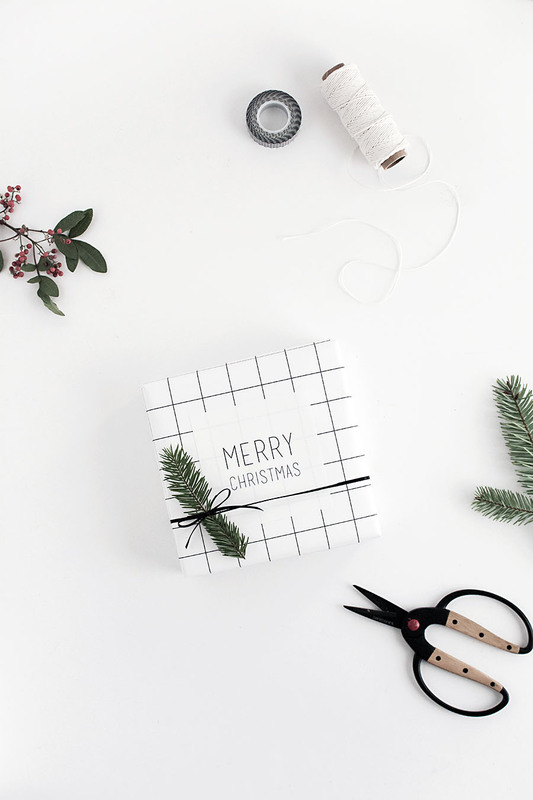 SO, this is a really easy and fun way to wrap gifts that’s completely customizable to any message OR photos you want that will make it look like you spent weeks on wrapping when you only spent less than three seconds or something like that. 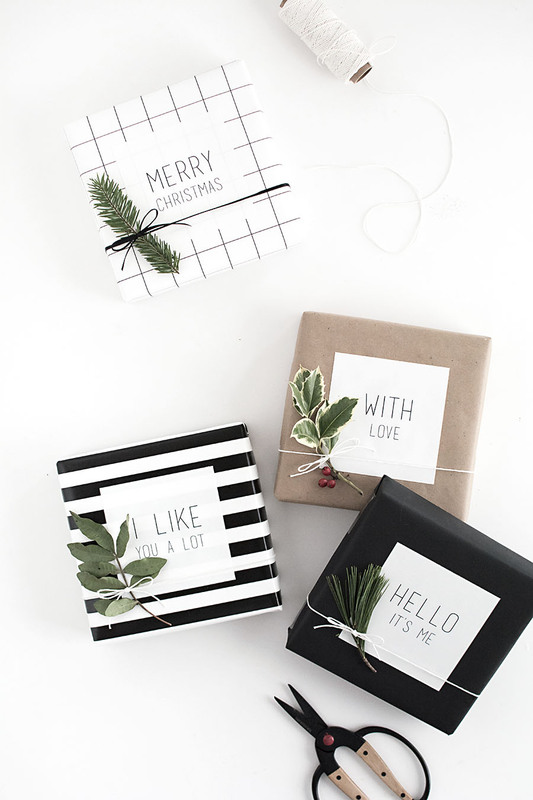 In partnership with Snapbox, I used their fabric posters to make these gift tag alternatives for some cute and unique gift wrapping. All I did was type out little messages in square format in Photoshop and upload my designs to Snapbox. I ordered the 4×4 peel and stick posters, which are basically like very durable and affordable custom stickers. 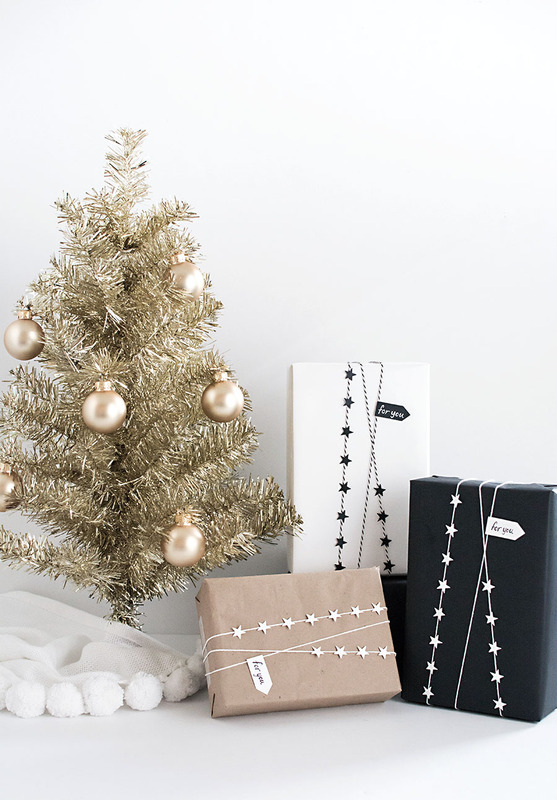 Just peel and stick on to the gift, add some string or ribbon, and tie in a little holiday greens. Tying the greens off-center towards the bottom corner bumps up the cute factor a million times for me. I’m a big fan of it. Did I mention these work with photos, too? Yup, they do, and it’s terribly adorable as well. 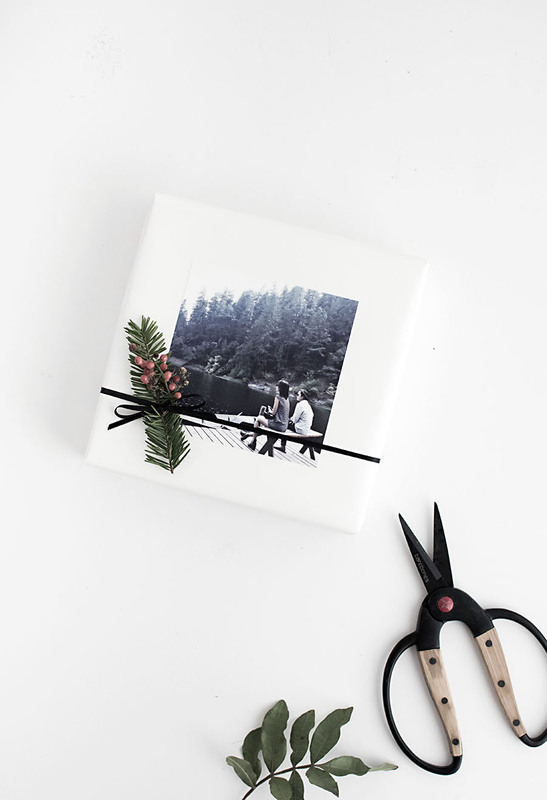 It’s perfect for more personalized gift wrapping AND the recipient can keep the photo sticker. It peels off better from paper with a glossy finish as opposed to a finish like kraft paper, but regardless the photo can at least be cut out from the paper because who wouldn’t want to save that?? You can upload your own designs/photos to Snapbox, or if you want to use the ones I made, you can download six different ones here (for personal use only and may not be reproduced or sold, ok? 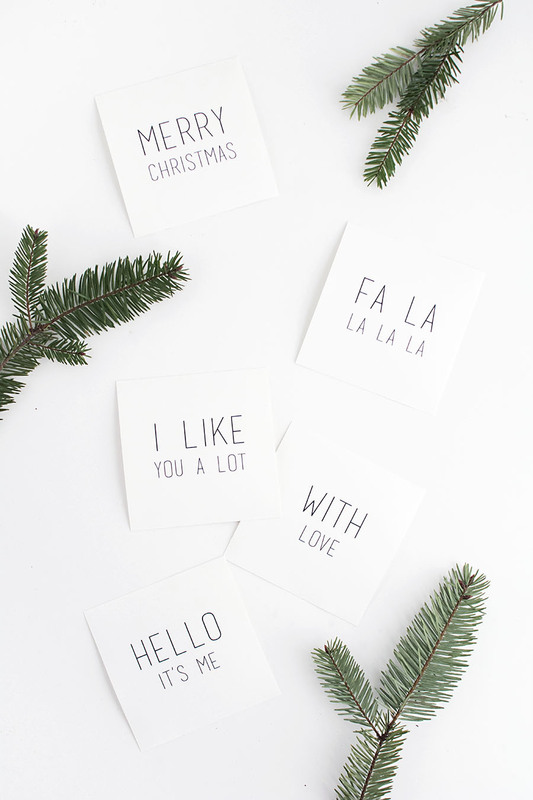 <3) Some of these can be used for any occasion, so keep them in mind anytime you need to wrap a gift! This post is sponsored by Snapbox, my favorite place to print custom photo products. Thank you for supporting brands that keep the fun projects coming, where I can do things like reference a current favorite song. I did the same last year, with my presents. I put a picture of the person, the gift was meant for, on the wrapping paper. They really liked it! :) It’s such a cute idea. Nice! I’ve always wanted to try it and glad to hear you had success with it! I love these, Amy! 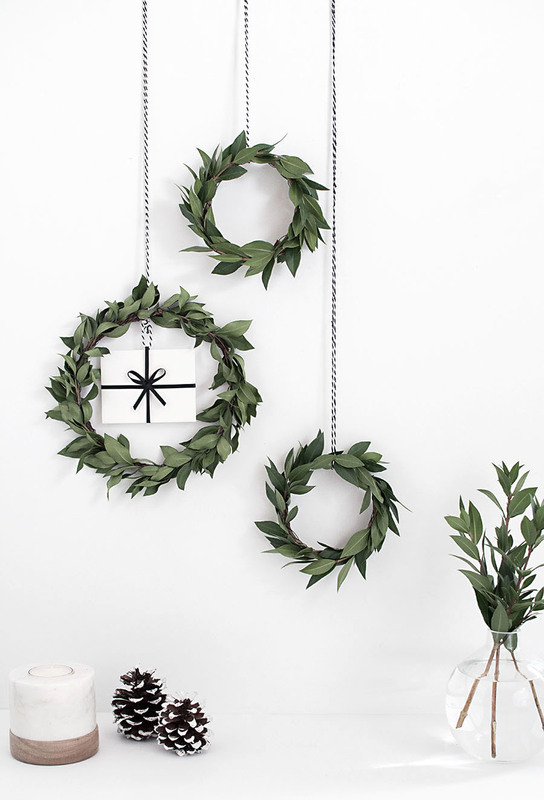 Just perfect with the little bit of greenery. Glad you think so :) Thanks, Alexis! These are on-point, girl. Loving that little sprig of greenery! love these. so super cute. can i ask what the name of the font is? thanks! Really is very beautiful work. These look lovely! They are so thoughtful and personal. I think my girlfriends would love them. Definitely trying the technique tomorrow after work. Yes! They will definitely love it :) Thanks Natalya! 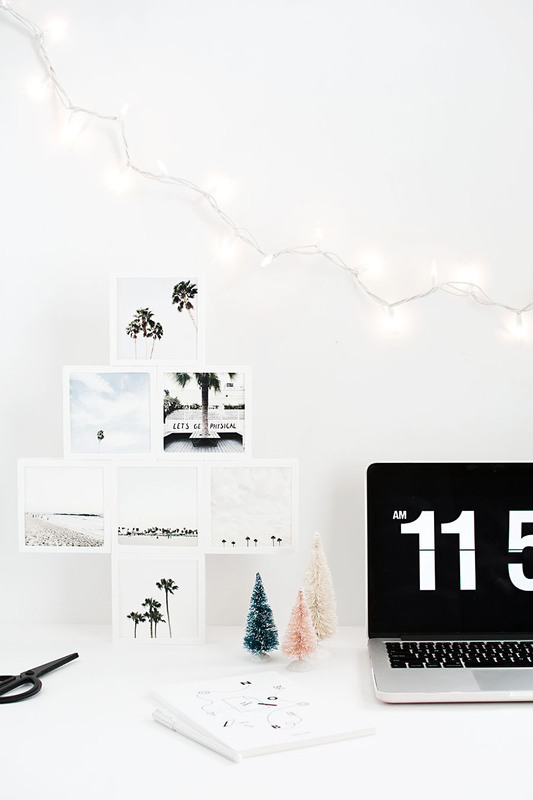 Where is the white grid paper from? Hi! 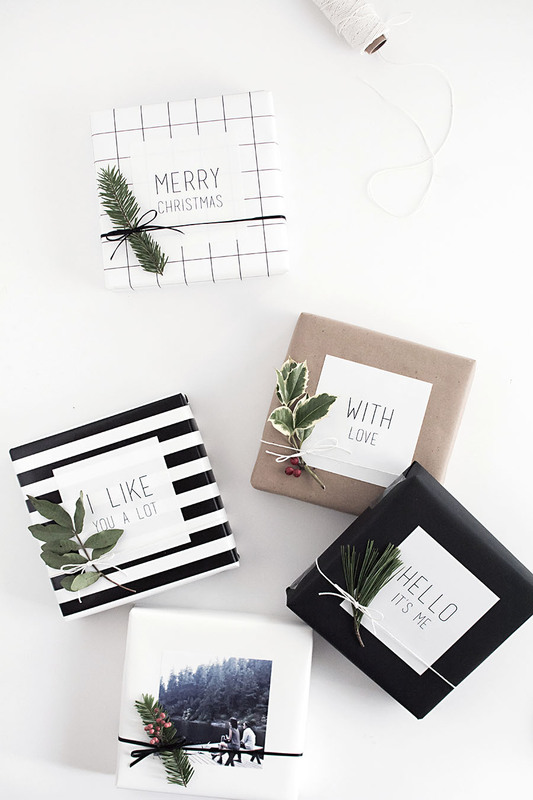 I love the font you used for the labels, can you please, tell me, the name?